A japanese comic style illustrations of two bunny rabbits and a pair of carrots. A superb design from our collection of rabbit wall stickers. Do you love bunnies? Do your children love them too? 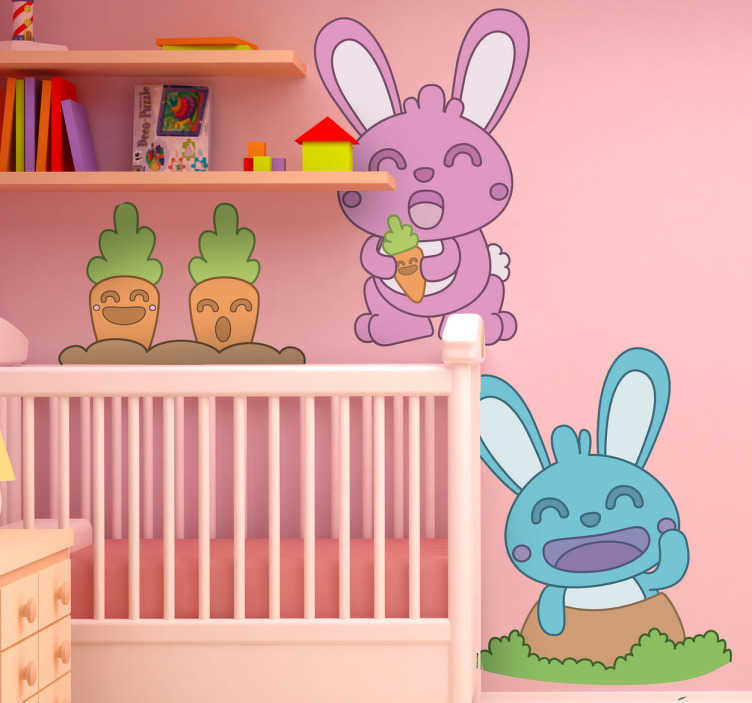 If yes, then this rabbit decal is perfect to decorate your children's bedroom. This rabbits enjoying eating carrots design is available in various sizes. Made from high quality vinyl. Easy to apply and easily removable. Also suitable for windows.